As second and third-generation contractors, builders, craftsmen, we understand what it means to pour your heart and soul into not just building a house, but creating a home for family, friends and memories for years to come. We’ve worked together for the better part of 20 years on commercial, retail, and large-scale residential communities across the country. We’ve partnered with extraordinary craftsmen, artists, architects, structural engineers, and designers who have taken empty fields and transformed those spaces into storefronts, offices, and residences of every space and size. We’ve grown to appreciate how the little things will make a home unique, and what will make home truly custom. It seems like only yesterday that our friends and family reached out for advice about whether they should build a custom home or just remodel their current residence. After reviewing all options, they asked us to help them evaluate contractors and builders in the area to make sure the deliverables would meet the expectations…. We sat through at least 20 of these initial discovery meetings only to find out that “custom” meant different things to different people. To some of these builders, “custom” meant having your choice of three different beige carpet colors, which also meant natural-looking trim, as long as it was white and meshed with the beige. Flooring had two options, tile or faux hardwood. Kitchen and bath accoutrements had even fewer options. Other builders we met with also produced a wide range of ideas they defined as “custom homes.” We reviewed our notes and reached an obvious conclusion: our friends and families could do better and they deserved better. So, we set out on a journey that was as inspiring as it was transformational: the pursuit to make “custom” better. This is what you will find with North Star Premier Custom Homes in Westlake, OH: The Best and the Brightest in Custom Homebuilding. 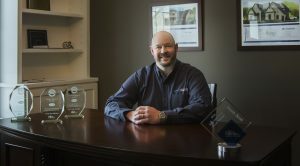 As a second generation new home builder, Jason has spent more than 20 years working his way up through the ranks from framing to managing the design/build process for his father. Over the past 7 years, Jason has focused his attention on building and growing North Star Builders into the premier custom home builder in Northeast Ohio. 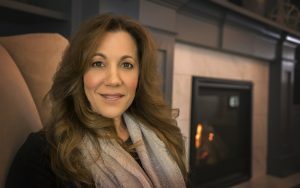 Kim brings more than 2 decades worth of experience in new home sales, construction project management, and interior design, to her current role as our Sales Associate/Selection Coordinator. 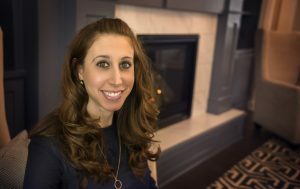 She helps homebuyers navigate the exciting, but often overwhelming, process from sales to selecting finishes/design features for their custom dream homes. Michelle has been with North Star Builders since 2013 and has worked in the design field for the past 12 years. She assists in the designing of all of our models and works hand-in-hand with our new build clients in making their finishing selections.